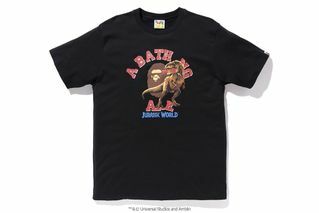 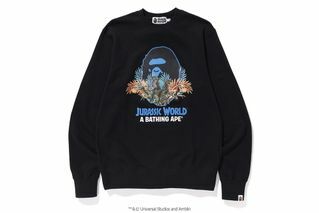 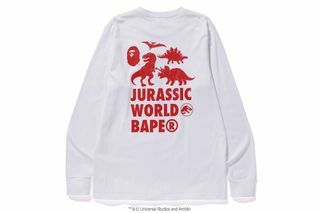 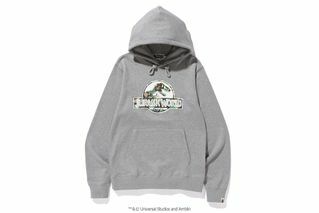 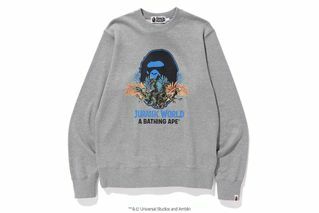 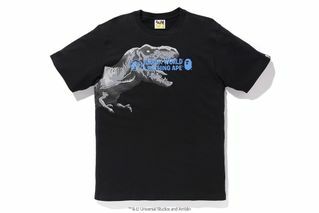 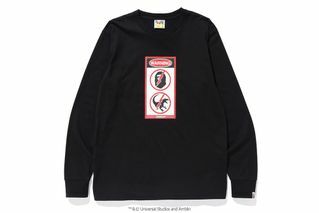 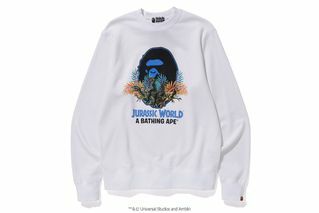 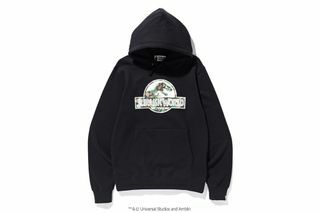 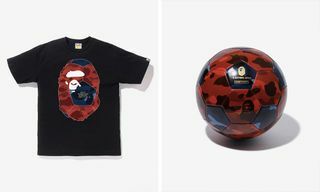 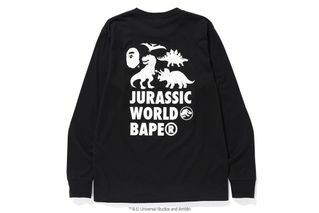 In celebration of the latest chapter in the Jurassic saga, BAPE has whipped up a special Jurassic World: Fallen Kingdom capsule collection. 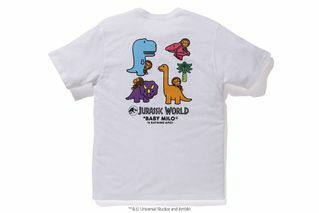 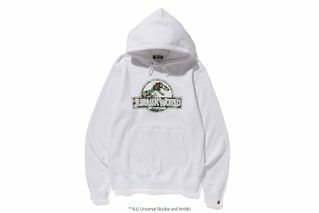 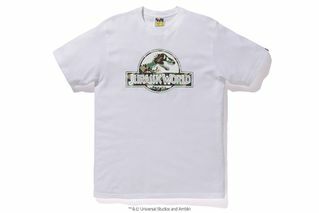 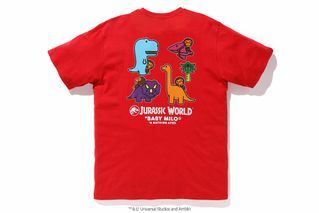 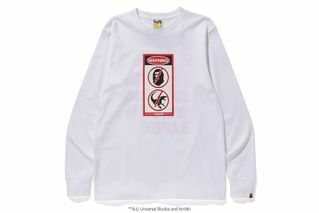 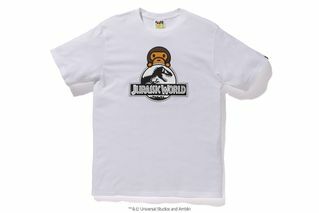 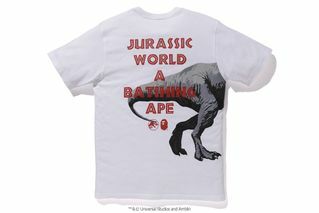 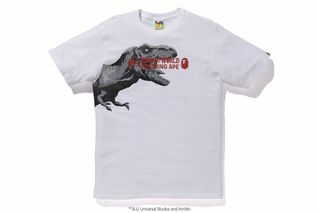 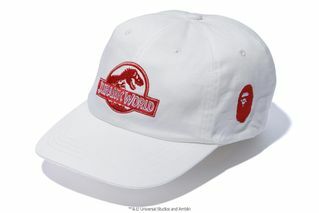 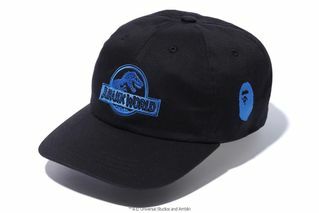 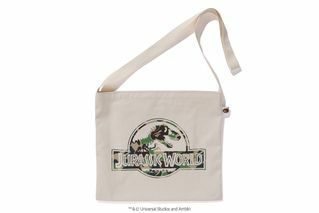 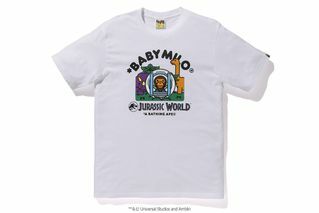 The assortment consists of T-shirts, crewnecks, hoodies, caps, and a tote bag, decked out with various graphics, including the iconic silhouette logo from the film franchise, as well as dinosaurs illustrated to mimic Baby Milo. 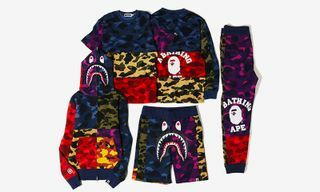 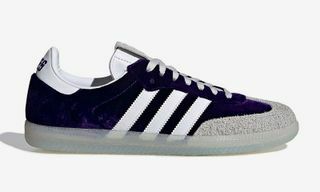 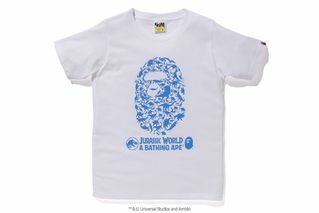 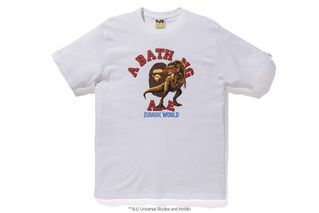 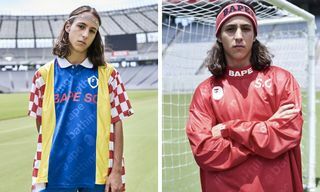 BAPE’s signature camouflage is also prevalent throughout the range, which features styles for men, women, and children. 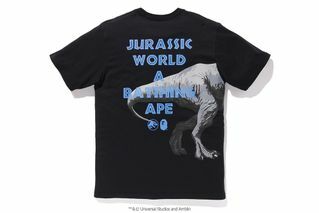 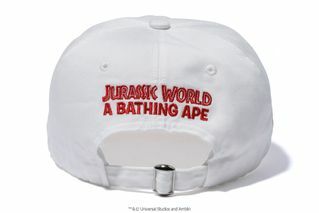 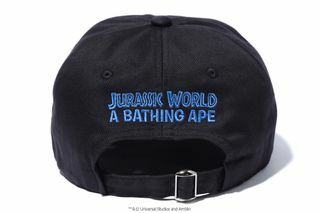 You can look forward to BAPE’s Jurassic World: Fallen Kingdom collection arriving at all BAPE stores on Saturday, July 14. 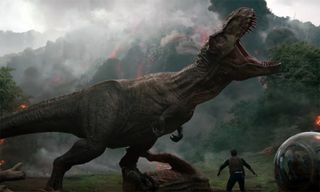 Jurassic World: Fallen Kingdom is in theaters now. 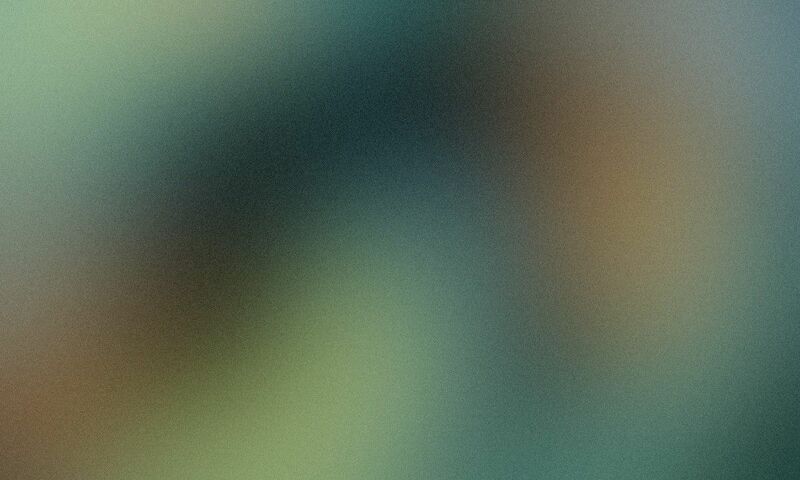 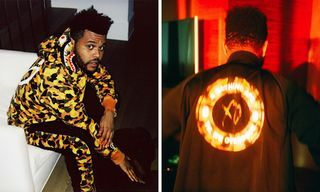 In related news, The Weeknd recently previewed his unreleased BAPE collab.